From the Athens International Airport follow the metro line to Athens city centre. Alight at Monastiraki station, change for the green line towards Kifissia and alight at Victoria station. Walking straight up Heiden Street and just 100 m away Patission Street can be found. Turn right and walk up Patission Street until Alexandras Avenue. Turn left and 3 blocks away Bouboulinas Street and the hotel will be found. 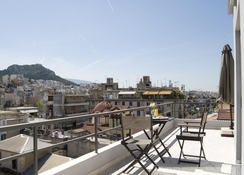 This new boutique hotel in Athens city centre is situated next to Areos Park. 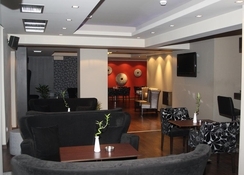 It features a lounge bar and non-smoking rooms with flat-screen TV and free Wi-Fi. The modern and stylish rooms of the Hotel Areos feature parquet floors, earthy colours and luxury fittings. They all come equipped with air conditioning and minibar. Buffet breakfast is served each morning and can be ordered through room service. 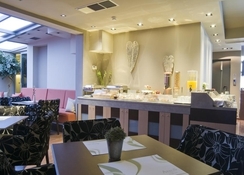 Hotel Areos has a stylish and cosy café bar. Hotel Areos’s 24-hour front desk offers tourist information and can arrange for car rental. 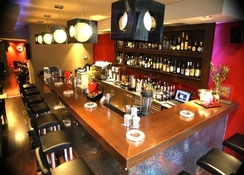 Areos Hotel is 5 minutes'' walk from Victoria Metro Station and the National Archaeological Museum. The Athens Sightseeing bus line stops a 5-minute walk from the hotel and connects to the Acropolis, Plaka, the National Gallery, the Benaki Museum and 16 other destinations. 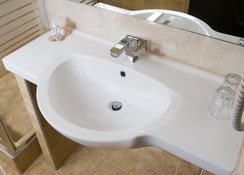 The hotel opened its doors in summer 2008, ready to accommodate travellers from all over the world who seek high design and quality standards in their accommodation, as well as top quality service. It features a combination of wooden surfaces, modern colours, luxurious interiors and lighting, fashion and environment that meets with customers' expectations. Comprising a total of 38 guest rooms, the air-conditioned property also offers a lobby with a 24-hour reception, hotel safe, lift access, bar, breakfast room and room service (for a fee).